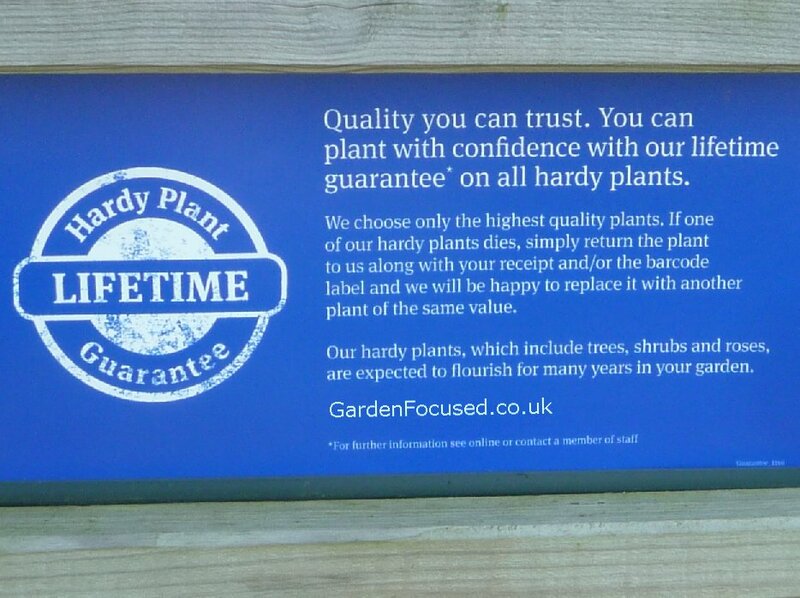 Wyevale Garden Centres, the largest garden centre chain in the UK, has quietly introduced a lifetime guarantee on the hardy plants it sells. 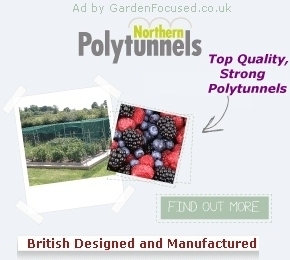 We first noticed this on their online website but have now seen the same guarantee offered at their garden centres, Woodlands Garden Centre being the last one we reviewed. Previously the guarantee was already five years however in the last year or two other garden centres have upped their own guarantees to five years or in some cases ten years. If you click the above picture it will enlarge and you can read the exact wording more carefully. They expand on the exact meaning of lifetime guarantee as detailed below but they never do explain if the word "lifetime" refers to the life of the plant or the purchaser's life! On a more serious note however, we pondered on exactly how useful a lifetime guarantee was. Maybe we are unusually forgetful but storing a receipt, which is required for a replacement / refund, is something we might do for a month or so but anything longer is in reality most unlikely. Certainly, storing a receipt for the purchase of a rose plant or an apple tree for its expected lifetime, anything from 10 to 50 years, is guaranteed to be a practical impossibility. 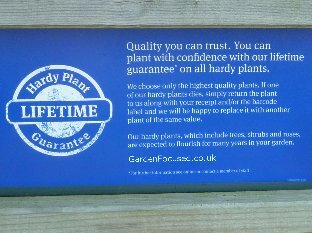 To give you a better idea of what the detail is concerning the hardy plants guarantee, we quote a few paragraphs of it below. "If the plant fails, please send us a photograph of the plant along with your order number to our customer services department. Once we have determined the cause of the problem we will endeavour to replace it. You will be charged for delivery on any replacement plants issued. This guarantee does not include hardy annuals, biennial plants, bonsai, indoor plants, Christmas trees, summer patio plants or half hardy plants. Plants used in landscaping work on behalf of a third party are excluded as are any plants damaged due to a lack of watering or proper horticultural care."